Dozens of bright red and blue Belizean flags waved in proud celebration earlier this week at Philip S.W. Goldson Airport. 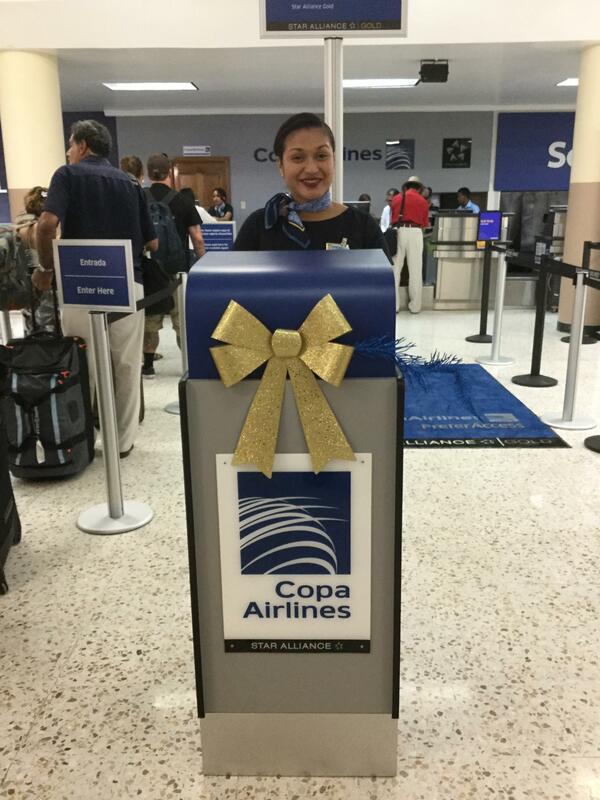 On Tuesday, December 8th, Copa Airlines Inaugural Flight #281 landed outside Belize City’s international terminal. The inaugural flight marks a greater connectivity between North and South America, and also within all the Central American countries that lie in between. 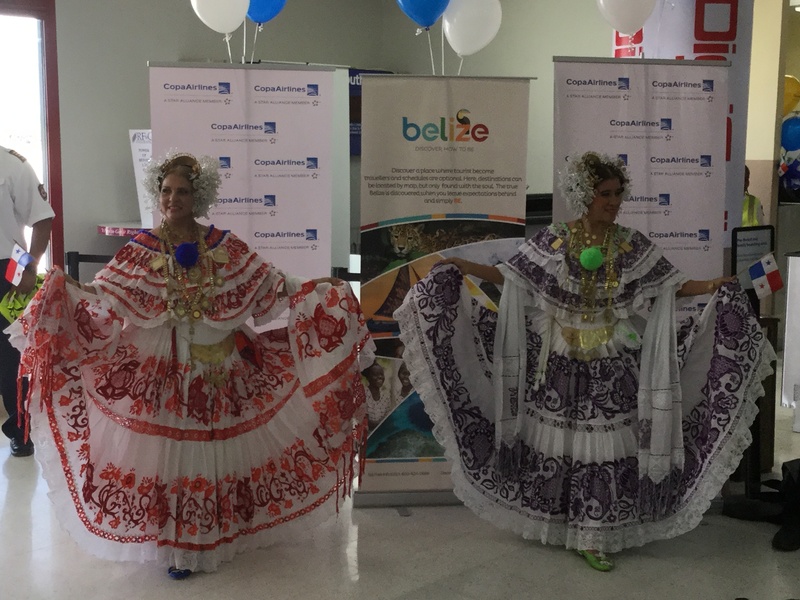 Philip Goldson Airport, along with the Belize Tourism Board, hosted a packed-house welcome celebration in the lounge of Departure Gate #2. Guests of the event were treated to an appearance by traditional Panamanian folk dancers, a champagne toast, and an official ribbon cutting at the gate. The Honorable Manuel Heredia Jr., Minister of Tourism and Civil Aviation, who spoke at the event, welcomed the airline and praised the benefit of the connection with South America. Other guest speakers included: Ambassador Marta Irene Boza, Ambassador of Panama in Belize, Mr. Adolfo Sen, Director of Sales for Copa Airlines; and Mr. Jorge Espat, Managing Director of Belize Airport Concession Co. Passengers touching down from Panama City enjoyed a special welcome ceremony with live music and cocktails. Panama City is the capital of the tropical nation of Panama, home of the famed Panama Canal, as well as a growing service economy that thrives increasingly on tourism. 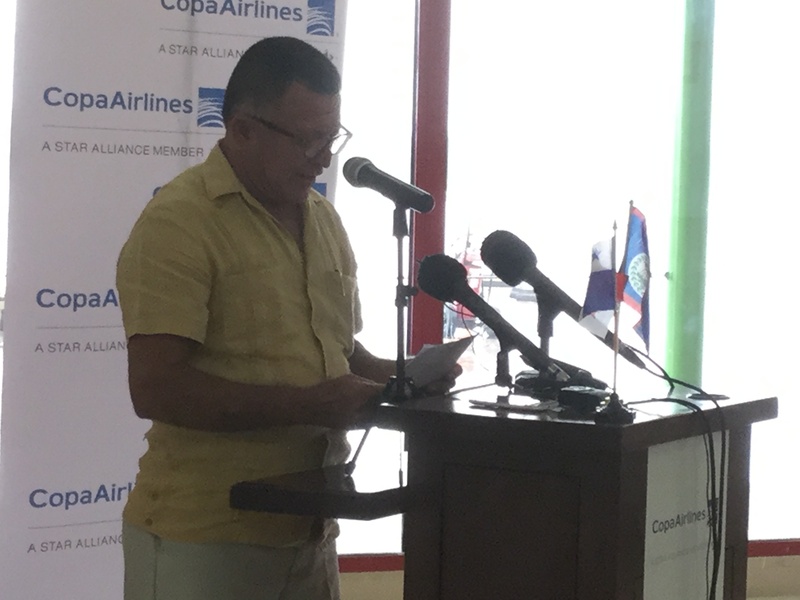 With the addition of Belize, Copa Airlines will serve all seven Central American countries, strengthening its position as regional airline leader. 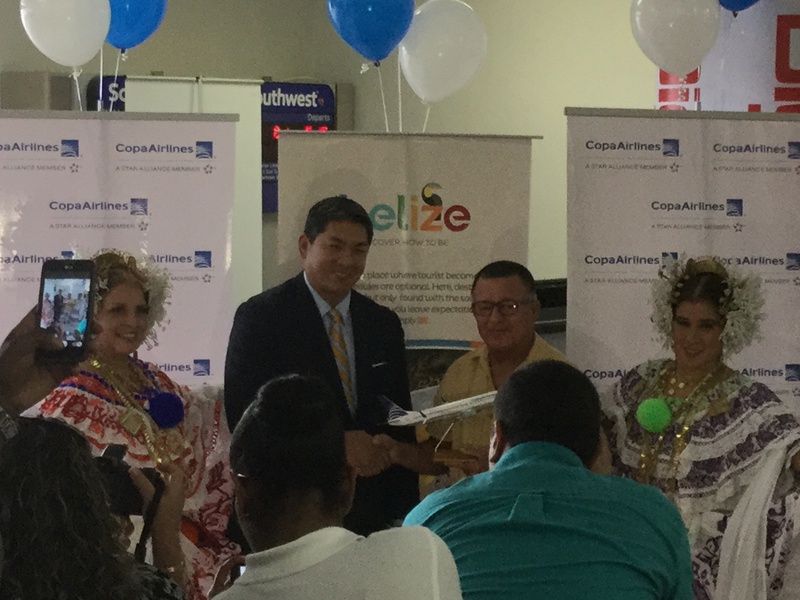 Belize brings Copa Airlines’ total number of destinations to 75 cities in 31 countries. Connections available with Copa in Panama City now include: Sao Paulo, Brazil; San Jose, Costa Rica; Bogota, Cartagena and Medellin, Colombia; Santiago, Chile; Quito and Guayaquil, Ecuador; Managua, Nicaragua; Port of Spain, Trinidad and Tobago; Havana, Cuba; Santo Domingo, Dominican Republic; and Lima, Peru. The welcoming of yet another major international flight to Belize signifies economic growth as a resut of the increasing popularity of Belize as a destination for not only tourists, but also for investors, retirees, and expatriates. To read further info on some of these expanding opportunities, click here. 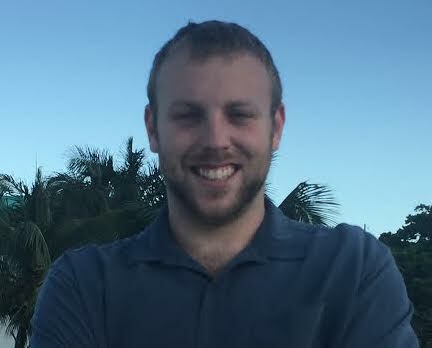 Moreover, the inclusion of the “Hub of The Americas," Panama City, as a connection with the capital city of booming Belize demonstrates the flourishing trade and diplomatic relations between the two growing nations. An additional benefit of travelling through Panama City, according to Copa’s website: connecting passengers are not required to make immigration or customs stops in Panama and baggage is checked to the final destination. So no matter where you’re coming from or headed to, it is yet even easier to board a flight to Belize. Why not make the next stamp in your passport say Belize? Click here for info on how to visit the community at Grand Baymen and the tropical island of Ambergris Caye.